went from red sea coral pro to this. 200 gallon box for like $35 can't be beat. elevated levels. doesn't mix up as clear or as quickly as the red sea, but doesn't seem to make my tank any less crystal clear. Having an SPS dominant tank can be tricky. 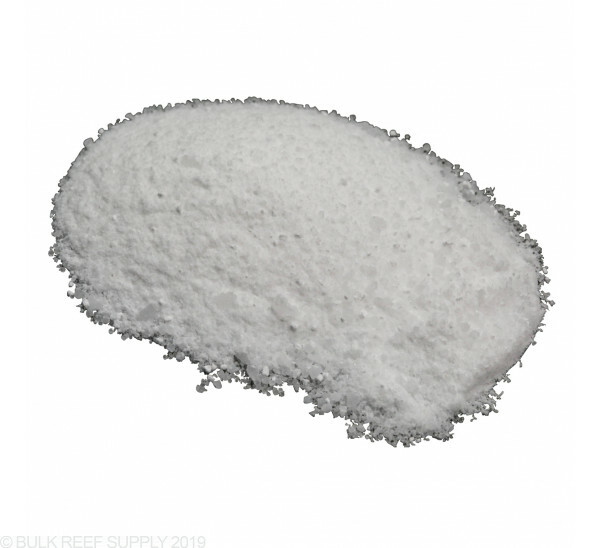 I have found that having a salt that mixes up to what your tank operates at is key to maintaining stability. So as long as you are one to do consistent water changes. I like color and growth. Keep alkalinity at 8.5. Calcium at 450 and Mag around 1450. 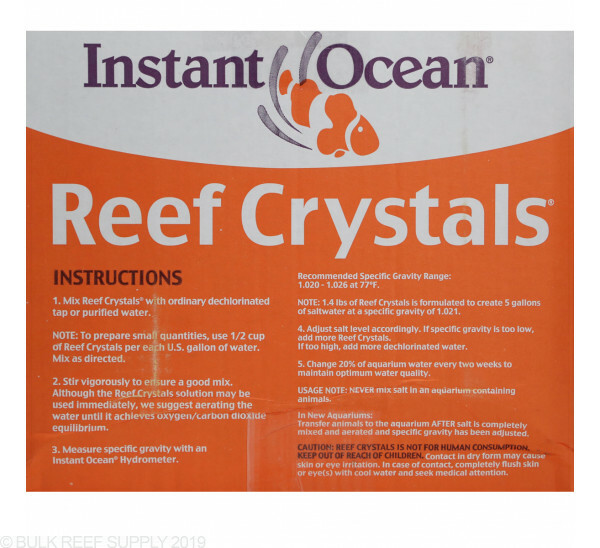 With Reef Crystals, my 40 gallon water change every two weeks keeps those numbers stable along with my dosing schedule. Mixed at 1.026, my alk is at 8.5, calcium at 450 and magnesium at 1450. So as long as they don’t change their recipe, I dont intend to change mine. Only complaint I have Is the residue left behind in the mixing container. Seeing that many have had success even with the residue, I dont see it as a negative factor as long as that residue is left in the container. Mix for 20 hours minimum before water change. Don’t think I will ever go another route. Been using this for quite a while. I like the box vs the bucket as I have many buckets. 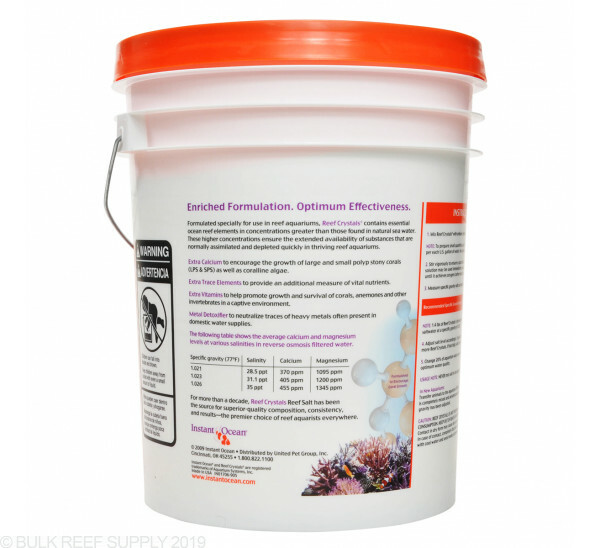 Good value and the water is nice and clear after mixing. Just recently switched over to this product. I am getting great results with this mix. Steady parameters on each water change. Been using this mix for years.. 20% water change every two weeks.. I never have problems and my levels stay consistent all the time. my calcium stays at 450ppm, Magnesium Stays at 1350ppm so thats 2 things i dont dose for. Over all GREAT salt. does take a few to get it mixed right. but never had cloudy water over it. 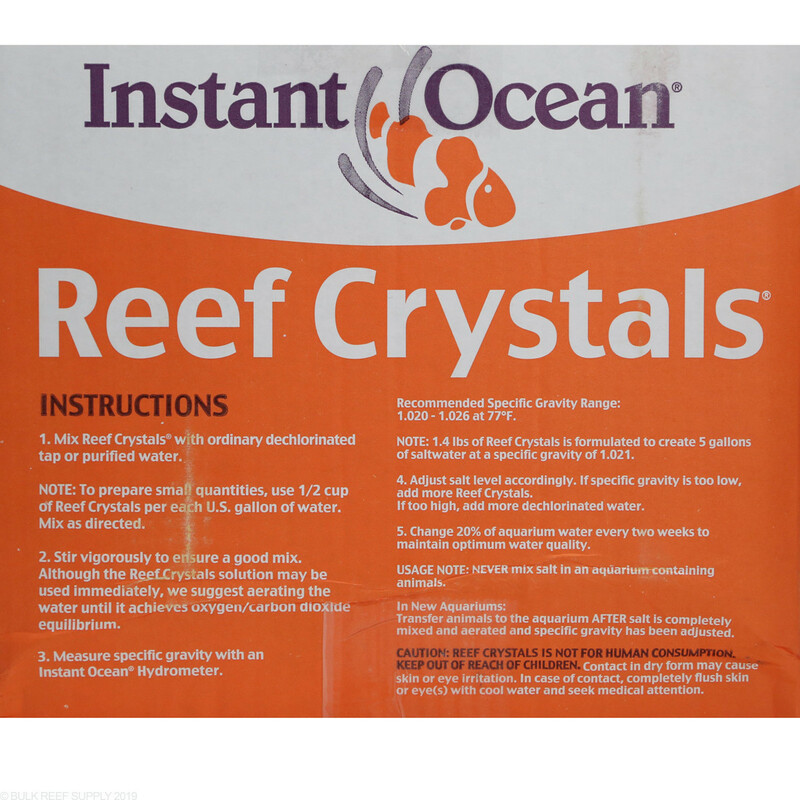 I habe used Io and Reef Crystals in the past on my reef tanks. RC worked well for years and I love the price. I started having issues with really high alk 14 dkh and brown water wirh newly mixed saltwater and 0 tds RODI. 3 buckets in a row had this issue for me and LFS. Maybe just a bad batch but I stopped using it after that. Considering trying it again to fill my new reef tank. Gave it 4 stars becuase of the years I used it with success. 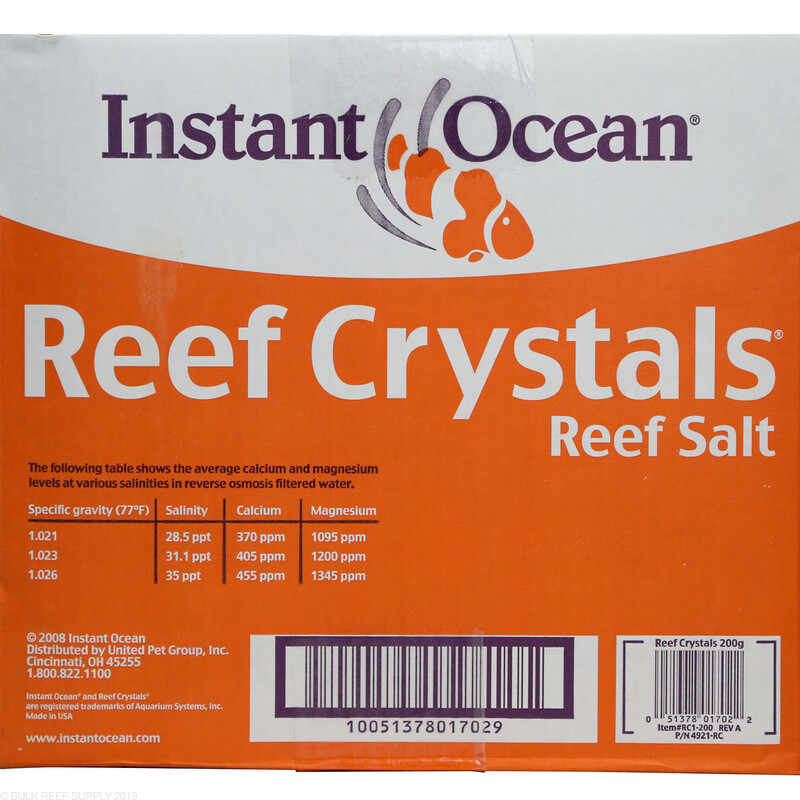 I like this salt and have used it for years. It mixes quick, is not clumpy and I get good results using it. 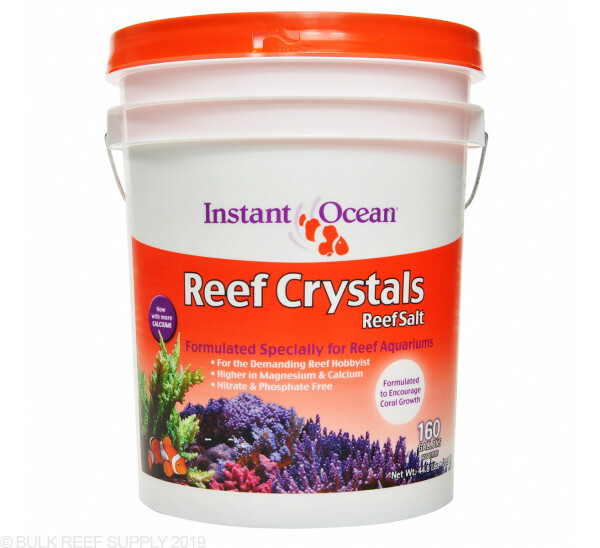 I have never added Mg to my tank and this is the only brand of salt I have ever used. My Magnesium is at 1700. I check it regularly and do a 10% wc weekly. Is this a defect in the salt? My specific gravity is consistently kept at 1.025. The side of the box says at 1.026 it should be 1345. I can't help but think this is why I keep losing snails and crabs. 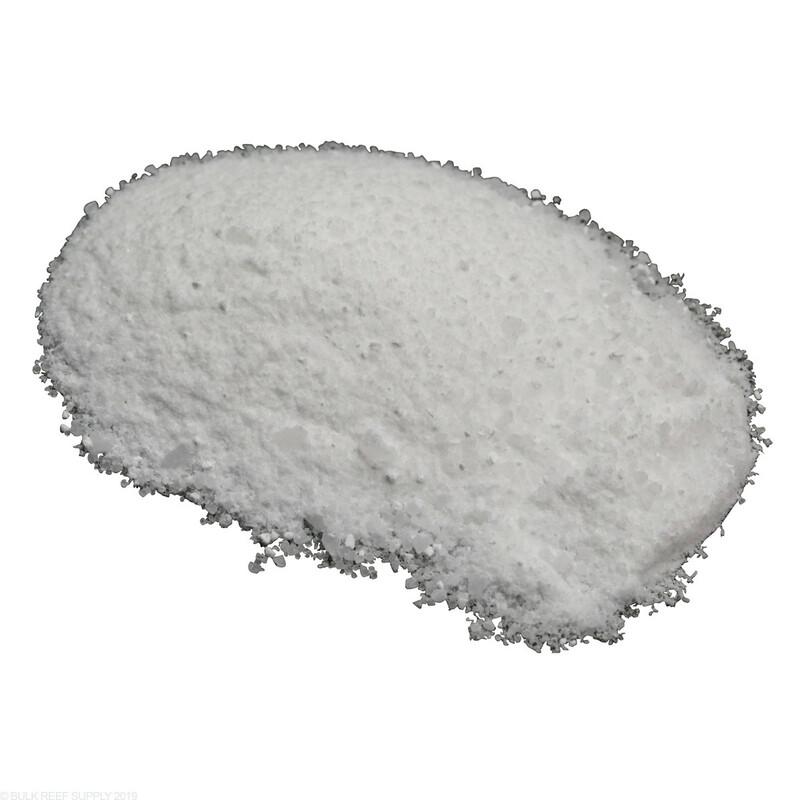 What can be done to lower Magnesium? 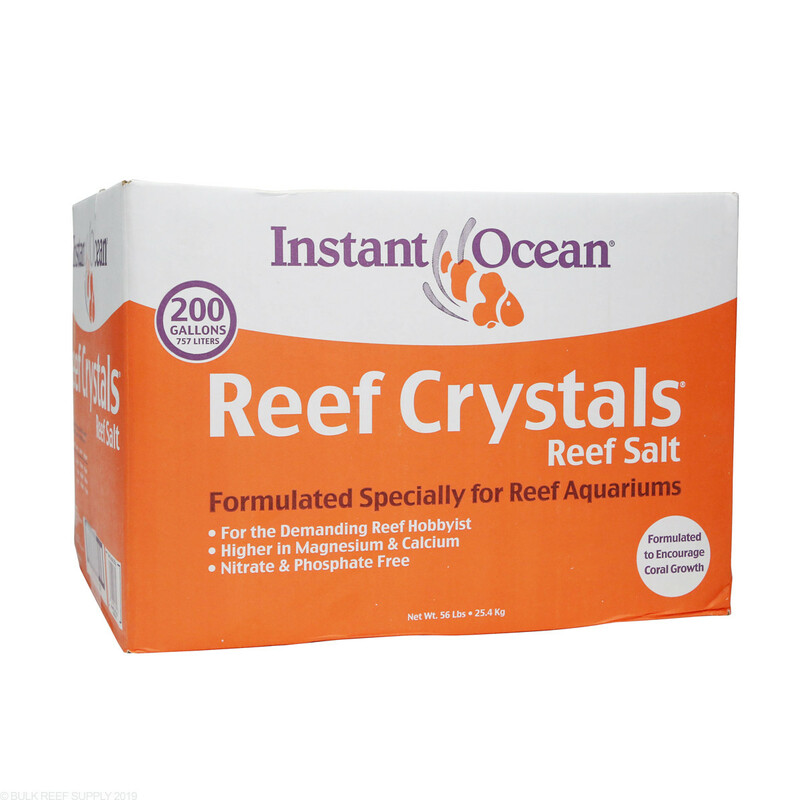 There are claims that Reef Crystals can be high in magnesium and by switching to a salt like Red Sea or how you will see more consistent elemental levels. Lower magnesium will just take time. 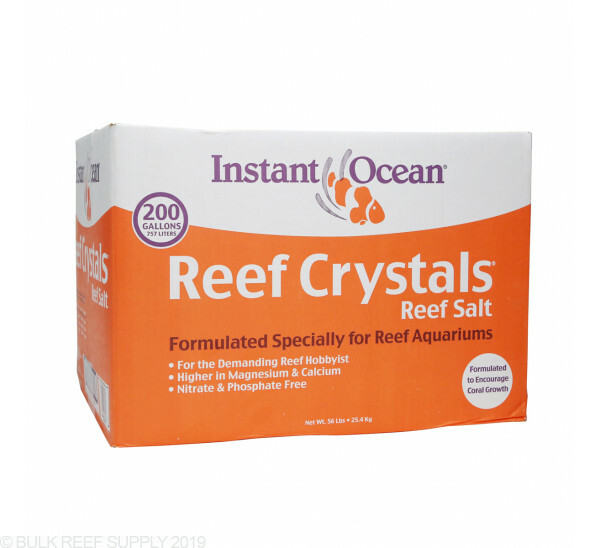 You can do a couple of water changes that has more moderate magnesium levels, but it may take a few to get the levels down under 1400. 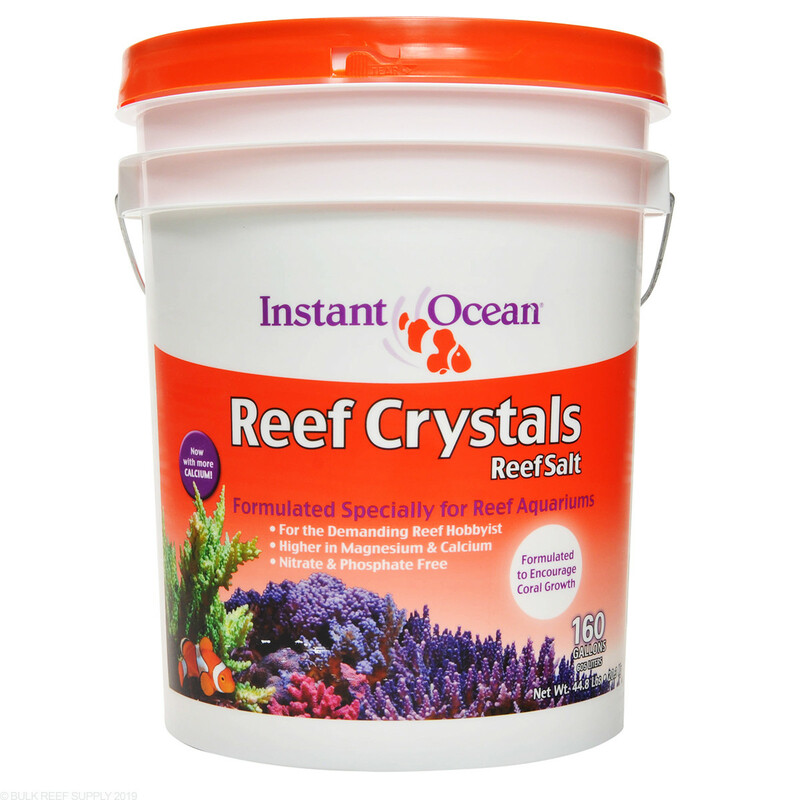 I would suggest looking into the blue buckets of Red Sea Salt. 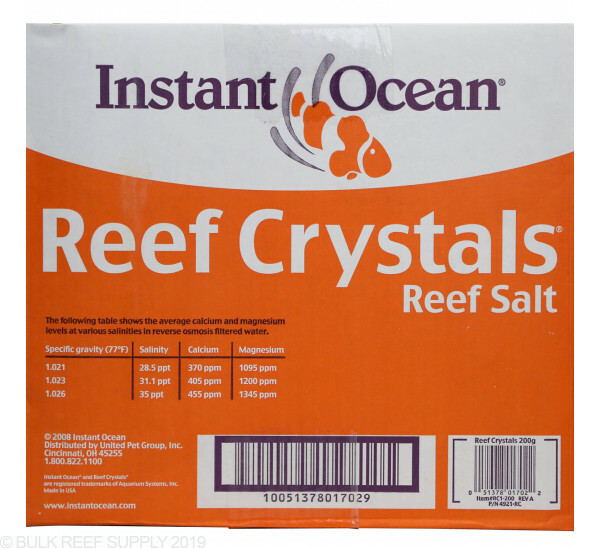 What do you reccomend I use to mix the salt? I'm thinking of using a brute 55 gal trashcan for mixing in. Also how many watts for a heater to heat the newly mixed saltwater. Thanks. Hey, great question! 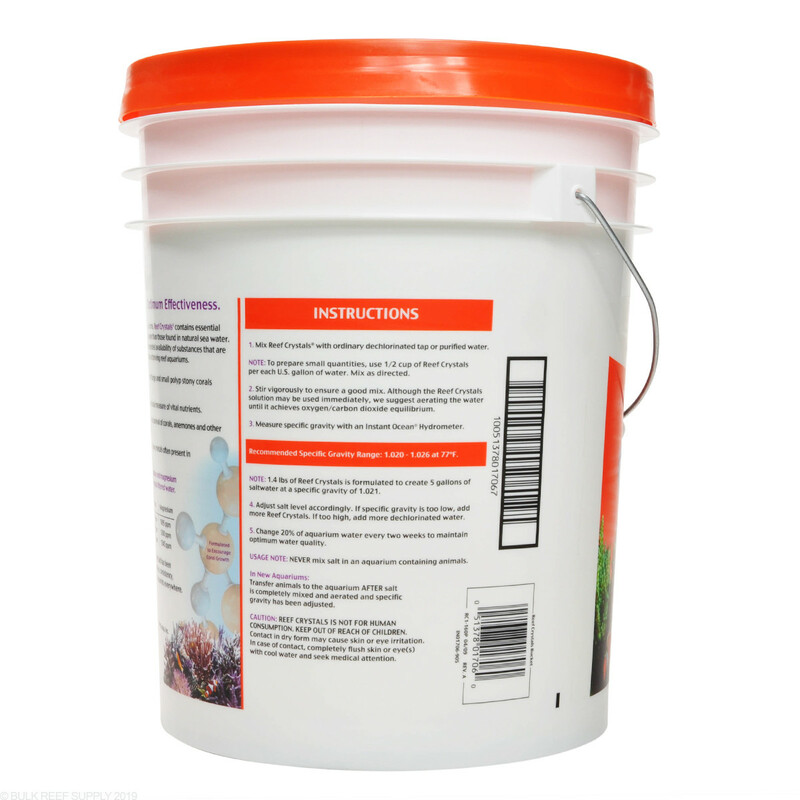 Generally any untreated plastic container is fairly safe to mix saltwater in, but many plastics will leach some amount of phosphate into the water over time from the plasticizers. 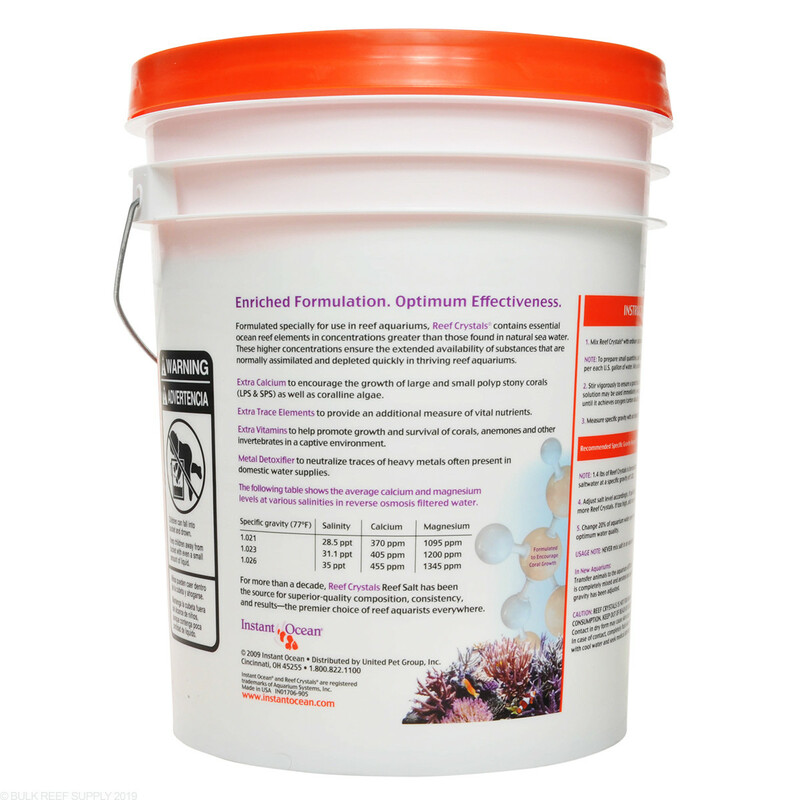 #2 HDPE and #5 Polypropylene without added chemicals are usually considered the safest and best for reef purposes. 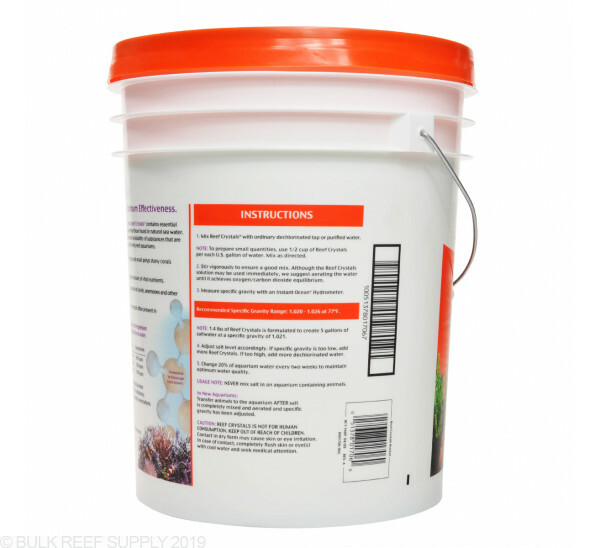 The Brute trash cans should be totally fine to use and are a popular solution in the reefing community. Have a great day!